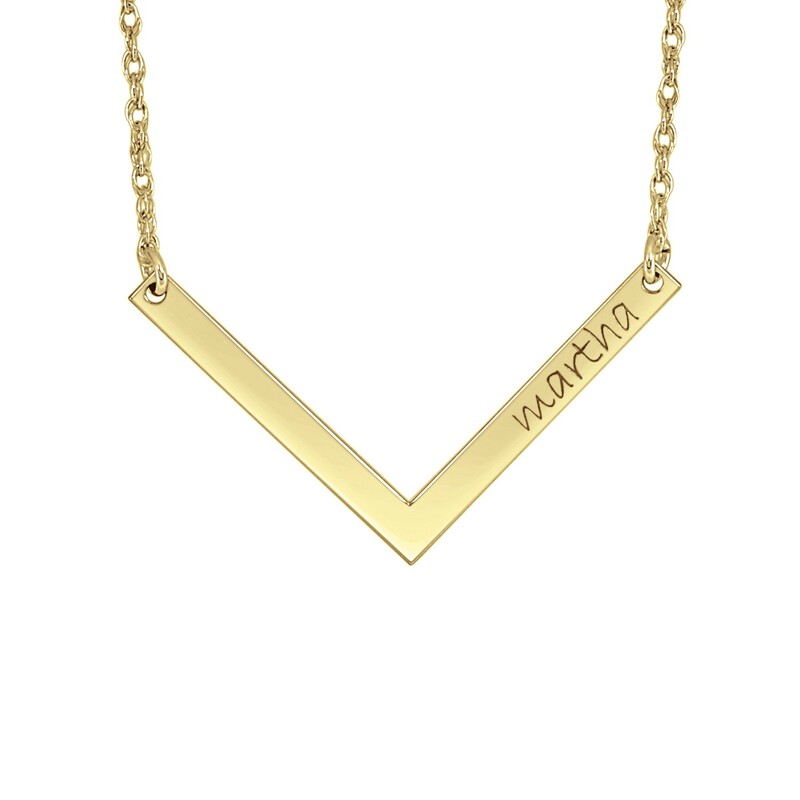 Break the straight and narrow bar trend with a fashionable V necklace. Our Chevron Bar Necklace is perfect for layering and creates an eye-catching minimalist look for any mom. *Chevron Bar measures approximately .78"x1.4"